Although living a nourished life encompasses a wide variety of health topics, maintaining proper nutrition is an important component of living a nourished life. Most medical practitioners and nutritionists agree that the best way to eat healthy is to maintain a well-balanced diet. Choose to eat nutritious, meatless meals just one day a week. 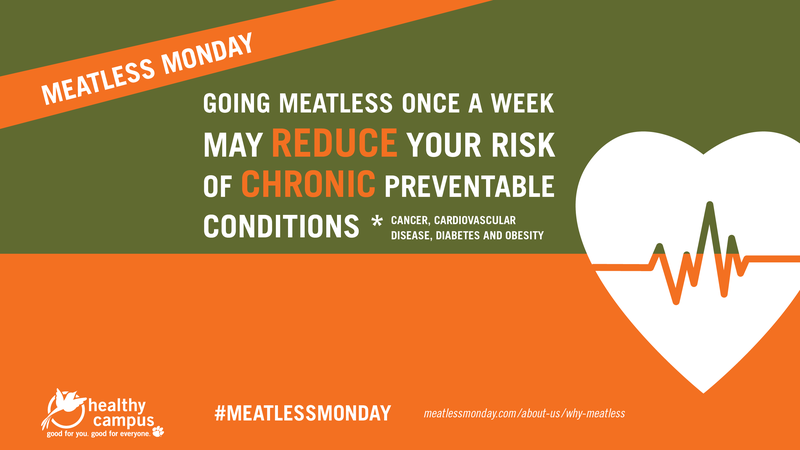 If you can’t go meatless for a whole day, choose to eat at least one meatless meal a week. you can save enough WATER to DRINK for the next 3 YEARS. you can save enough WATER to SHOWER with for the next 2.5 MONTHS. Clemson Dining Services makes it easy for you to choose to go meatless any day of the week. They offer nutritious vegetarian and vegan options and a wide variety of fruits and vegetables in their dining locations every day. We all know that nourishing our bodies is crucial to being healthy, but sometimes that is easier said than done. Making sure you eat enough healthy fats, though, doesn’t have to be a complicated situation. monounsaturated fats, which improve blood cholesterol levels. Simply incorporate common omega-3 fats, such as fatty fish, walnuts, vegetable oils, flaxseed and eggs, and common monounsaturated fats, such as nuts, oils, avocado and peanut butter, into your diet in order to reap these great health benefits. having an increased resistance to certain illnesses and diseases. Wrap pita in aluminum foil, and warm in the oven for 5 minutes at 350OF. Rinse and slice celery into 2 inch pieces. Scoop out hummus onto plate, and arrange celery and warm pita around hummus. Preheat oven to 350OF or use microwave. Place eggs in a bowl and whisk with a fork until smooth. Add spinach and cheddar; if desired, add salt and pepper. If using the oven, pour mixture into a greased baking dish, and bake for 7–10 minutes or until brown around the edges. If using the microwave, pour ingredients into a greased microwave-safe mug, and microwave at 1 minute intervals until firm. Slice apple in half, and remove seeds and stem. Then, slice each half three more times. Spread peanut butter onto each apple slice and top with dark chocolate chips.